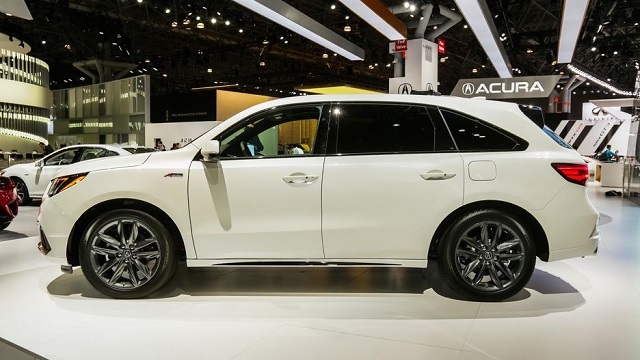 Since it is starting to look a bit outdated, the carmaker has finally decided to bring the all-new 2020 Acura MDX. 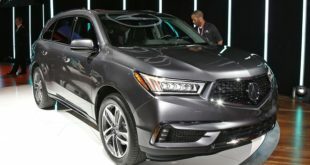 The upcoming MDX will be revised in almost every segment of the vehicle and will most likely bring a new engine option. The 2020 Acura MDX will be powered by two engines like its predecessor. And there will be one V-6 and a hybrid engine. Most of the trim levels will use a 3.5-liter V-6 engine which is able to deliver 290 horsepower and 267 pound-feet of torque. It will be mated to a 9-speed automatic transmission and the front-wheel drive layout will be standard. However, the all-wheel drive setup will also be available. As well, the Advance models will come with idle start/stop system which will improve its fuel efficiency. The FWD model will get 19/27 mpg while with auto idle stop it will show an improvement for 1 mpg in the city driving. The AWD model is rated at 18/26 mpg while with an auto idle stop this engine is rated at 19 mpg in the city and 26 mpg on the highway. Furthermore, it will be able to tow up to 3,500 pounds. 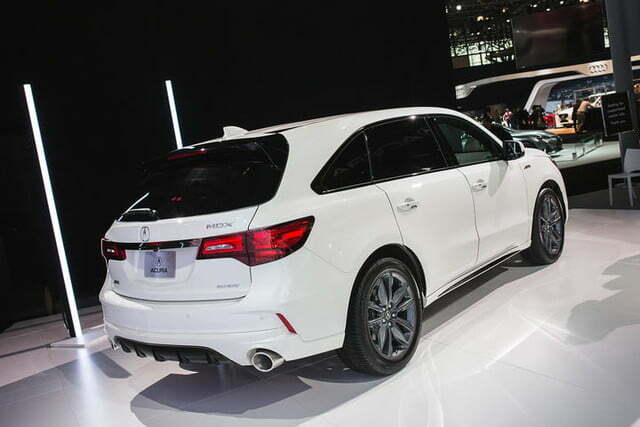 The MDX Hybrid model will combine a 3.0-liter V-6 engine with two electric motors which power the rear wheels. The total output of this engine will be 321 horsepower and 289 pound-feet of torque. The engine will work with a 7-speed dual-clutch automatic transmission. The all-wheel drive layout will be standard for a hybrid. This unit gets 26 mpg in the city and 27 mpg on the highway. On the other hand, according to the latest rumors, the MDX might get an all-new 4-cylinder engine for the first time. However, the exact specifications are not yet available. 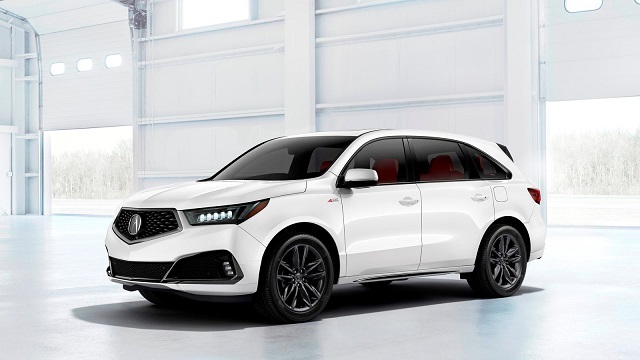 The all-new 2020 Acura MDX will be redesigned and will feature sportier and more aggressive exterior styling. The whole front fascia will be refreshed with more prominent grille with diamond pattern and revised LED headlamps The side sills seems to be beefier and we will notice wider exhaust outlets on the rear end. As well, there are more black and dark chrome details all over the body. Furthermore, the 2019 model year has added a new A-Spec package which brings cosmetic changes and upgrades in the technology front. The exterior changes include more black details, revised front fascia, sportier look, and 20-inch ten-spoke gray aluminum wheels. As expected, the 2020 Acura MDX’s interior will be one of the best in its class. It seats up to seven passengers comfortably. 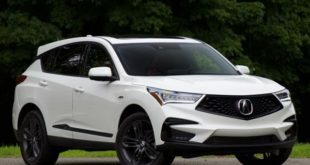 The MDX comes with a three-row seating configuration and although it is not a larger SUV, the Acura offers an impeccable interior space so as the cargo. The second-row bench can be replaced with a pair of captain’s chairs but it reduces the seating maximum to six occupants. The third row is also pretty good and we must admit that it is the best for the children or smaller adults. As for the cargo space, the MDX offers the room of 15.3 cubic feet. However, with the third row folded down, there’s a room of 43.4 cubes. As well, the second row can also be folded down which increases the cargo room to 90 cubic feet. Furthermore, the dashboard will be fitted with a dual-screen infotainment system, the one of 8- and the second of 7 inches. On the other hand, the MDX A-Spec model will come with sport seats which can be upholstered in either black or red leather with contrasting stitching and black Alcantara inserts. Moreover, the A-Spec will also add sport pedals, door sills, unique gauges, a new steering wheel with paddle shifters, and carbon-fiber patterned trim on the console. 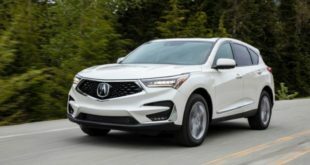 Every MDX will arrive standard with keyless ignition, leather upholstery, power moonroof, LED headlights, three-zone climate control, four USB ports, 18-inch wheels, power-adjustable front seats, audio system with 8 speakers, and an 8.0-inch information display with a 7.0-inch touchscreen. However, the new Acura will be offered with several packages. So, the Technology package will add navigation, HD radio, 20-inch wheels, remote start, and blind-spot monitors with rear cross-traffic alert. A rear entertainment package will include a heated second row of seats, a premium stereo with 11 speakers, and a 9.0-inch fold-down display with Blu-ray player for the rear passengers. Furthermore, the Advance package will arrive with all the features from the previous packages and will add two more USB ports, parking sensors, heated front seats, a surround view camera, cooled front seats, interior wood accents, second-row captain’s chairs, and start/stop engine tech. The A-Spec package will offer gray 20-inch wheels, new front end, red or black leather upholstery, lane-keep assist, adaptive cruise control, forward collision warning and so on. 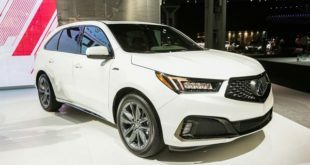 The release date of the 2020 Acura MDX is not year revealed. The price is also not yet known to the public. Will Acura change to a Navigation system that does not require expensive updates using CDs?